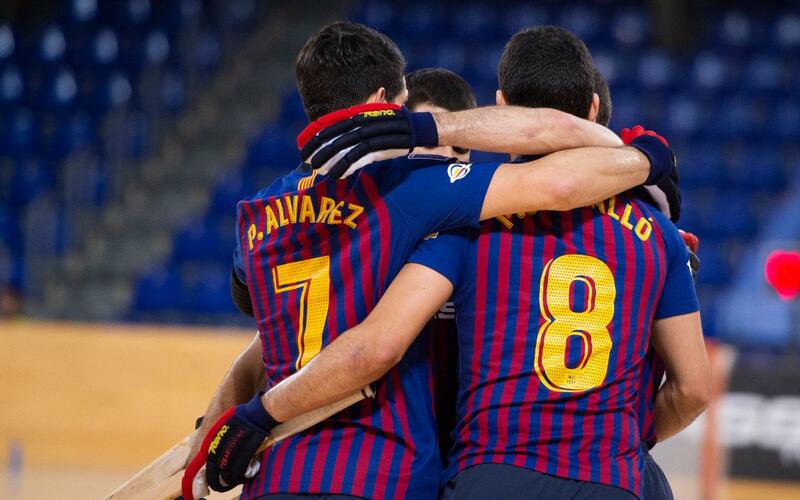 Barça Lassa took an excellent win against Vendrell in their Friday night league fixture, as they triumphed 4-0 at home. Panadero opened the scoring, with Pablo Álvarez contributing a hat trick. They remain top of the table after a 16th win of the season. The first half was a defensive affair. The Barça Lassa goalkeeper was only called upon on one occasion, and a further Vendrell effort from Bargalló hit the post. Barça Lassa's persistence paid off with a goal five minutes from the end of the first half. Panadero won the ball back and found the net off a quick run, scoring on the 20 minute mark. Subsequent efforts from Matias Pascual and Pablo Álvarez were saved by the Vendrell goalkeeper to deny a larger lead. The top goalscorer in the league contributed a rapidfire hat trick to start the second half, with his treble coming within the space of three minutes. The Argentine striker first scored from behind the net, then off a nutmeg, and then a clinical strike when Barça were down a man. That put the game firmly in their favour, and at the back Aitor Egurrola kept Barça Lassa as the side with the fewest goals conceded (28) thanks to his excellent saves. Barça Lassa: Aitor Egurrola, Matias Pascual, Ignacio Alabart, João and Nil Roca -Starting five- Bargalló, Panadero, Marc Gual and Pablo Álvarez. CE Vendrell: Gerard Camps, Xavi Crespo, Pablo Najera, Jordi Ferrer and Guido Pellizzari -Starting five- Iker Casado, Joan Lluís Mudarra, Gerard Miquel and David Lecha. Gosls: 1-0, Panadero (min 20); 2-0, Pablo Álvarez (min 32); 3-0, Pablo Álvarez (min 33); 4-0, Pablo Álvarez (min 35). Referees: Joel Garcia and Gerard Gorina.